Shipsomnia could be the all inclusive getaway you’ve been craving! It’s certainly the musical festival of the future. Imagine an entire weekend at sea with all your favorite DJs! Check out our interview with Shipsomnia’s founder, Alessandra Maderni. PPLA: How did you become an entertainment entrepreneur? AM: I’ve always walked the entrepreneurial path since a young age and entered the entertainment industry at the age of 24 when I opened my own nightclub in Thailand. That’s where I discovered that my true passion was in the event space and that my strengths as an entrepreneur were in branding and marketing. PPLA: What inspired you to create Shipsomnia? AM: After years of experience in the industry and as an entrepreneur, I decided it was time to show the world our talents and started to conceptualize Shipsomnia. Personally, I love the whole creative process and setting the stage for people to just let loose and have a blast. With Shipsomnia, we take your vacation experience to the next level by enhancing all of your five senses. PPLA: Tell us about the Shipsomnia experience. What can music and entertainment lovers expect when they book a trip? AM: On board we host DJs, bands, and performers playing at six fully-themed stages from 11:00 a.m. until sunrise each day in multiple areas of the ship. When the ship docks at one of our ports of call we also host a private music festival on a beach or special venue. PPLA: Can you share the names of any DJs who have performed on a Shipsomnia voyage? AM: Mark Knight, Pendulum (DJ set), DJ Jazzy Jeff, and Stanton Warriors to name a few. Our previous lineups can be found on our website at www.shipsomnia.com. PPLA: What challenges have you experienced in bringing a full scale entertainment production to a cruise ship? AM: When you set yourself to create the world’s biggest production at sea and have a concept that really pushes the boundaries, there’s an undeniable learning curve and logistical challenge that you have to overcome. It’s now all part of our expertise. PPLA: What kind of new talent can people expect to see on future Shipsomnia voyages? AM: In the future, we plan to expand the choice of entertainment and performing arts by hosting famous comedians, performers, speakers, and more. We want to use Shipsomnia to showcase all sorts of talent and make it as versatile as possible by offering world class entertainment in various forms as part of the epic week-long journey. 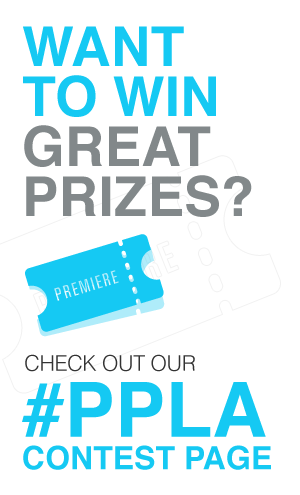 PPLA: What kinds of activities are available for people to do outside of live entertainment? AM: We host a bunch of cool activities with the artists for our guests to partake in such as dodgeball tournaments, yoga sessions, or Q&A sessions to name a few. Besides the entertainment side of things, we also focus a lot on the vacation experience and offer customized tours for people to make the most of their time at the stops in different ports of call. PPLA: How much do tickets usually run? Are they all-inclusive, or are food and beverages separate? AM: Ticket price-per-person depends on the cabin category which varies from $1,000+ all the way to several thousand dollars for suites. It includes accommodation, food/soft drinks, access and transfers to all concerts, and usage of all ship facilities. PPLA: What are the VIP packages can people purchase? How do these enhance the experience? AM: The VIP package comes with a suite accommodation and offer personalized service experiences such as limousine pick up, personal butler, and a designated travel agent, among other things. PPLA: How many voyages at sea has Shipsomnia embarked on and what’s new for Shipsomnia? AM: So far, we’ve executed two chapters of Shipsomnia, one out of Asia (Singapore) called “The Search for Lost Rhythms” and one out of Europe (Barcelona) called “The Tale of the Kraken.” In early 2019 we will be relaunching with something totally groundbreaking that will bring the vision of the business to life. PPLA: What tips or advice do you have for other female entrepreneurs in the entertainment industry? AM: Focus at being the best at what you do and you will be recognized for it. After that, great things will follow. PPLA: Can you give us any details or specifics on the next big cruise for Shipsomnia? AM: You can expect multiple chapters of the storyline sailing in various destinations around the world. It will be epic! Check out Shipsomnia’s video below! We’re ready to set sail…who’s joining us?